Not a sports fan, but even I remember this guy. I remember him well. 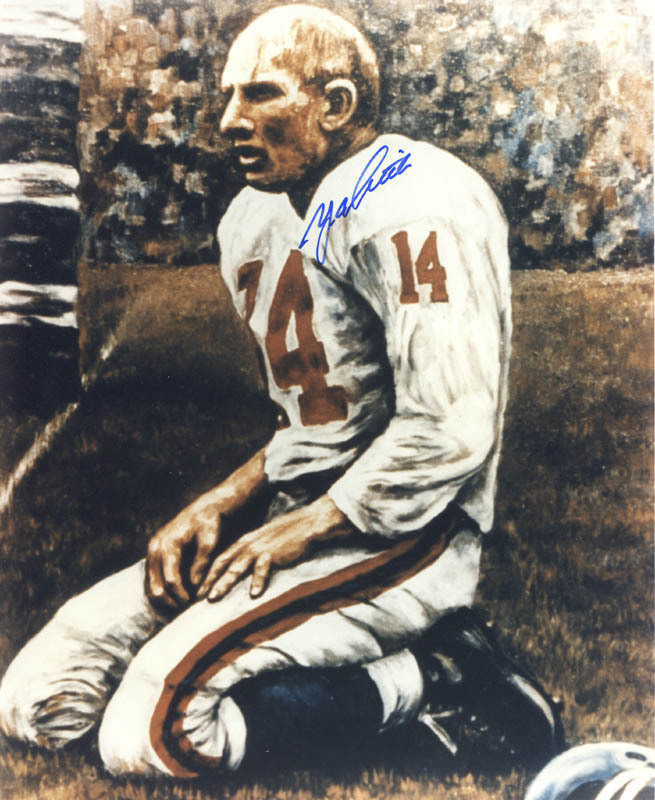 My professional mentor played with him on the 49's in the fifties. In 1962 he was the write-in candidate winner for school President in our Junior High School. Rest easy – you sure as heck earned it…. 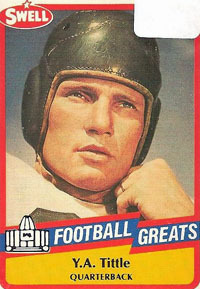 First NFL player whose name I remembered. Sad to hear the news. A name synonymous with football. Was he the last player/coach in the NFL? some rookie/young QB's after he retired from playing. The 'last' NFL player/coach is difficult to determine. doing the Defensive Co-ordinator duties. had an active role at running back for the team. the NY F'ball Giants and the Atlanta Falcons. 1971. He was never involved in coaching or in playing.